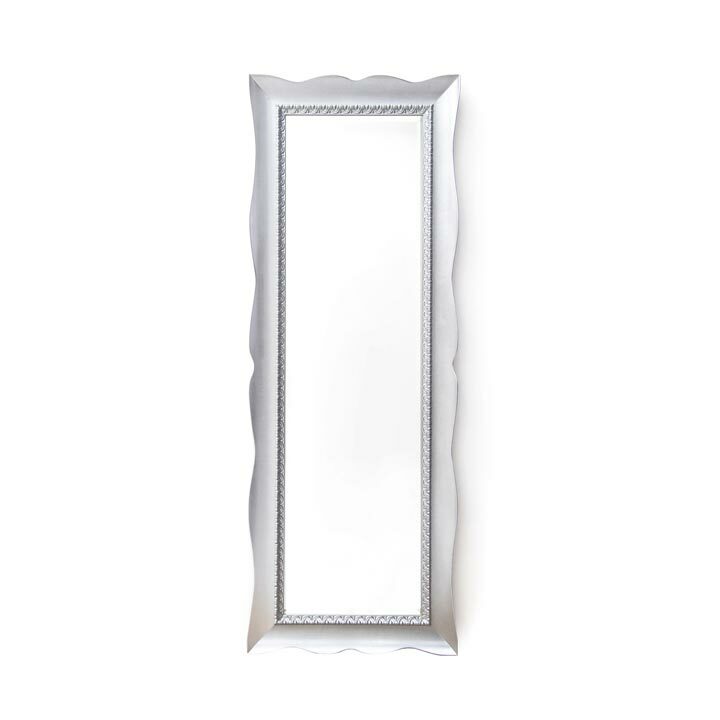 Elegant Classic style mirror with wooden structure. It has a sinuous and enticing shape and is particularly suitable for classic and contemporary spaces. It can be positioned vertically or horizontally for use in dining rooms or living rooms.